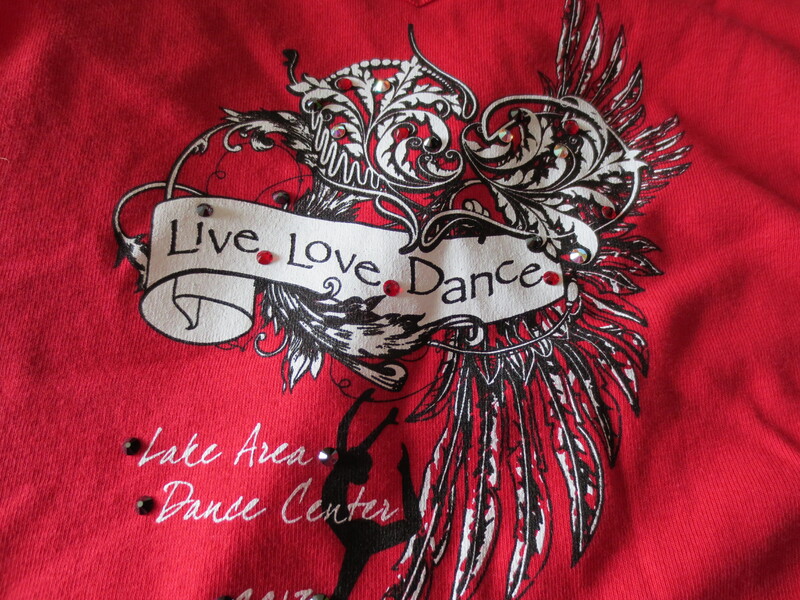 May 19th – 21st, Lake Area Dance Center (LADC) had its annual dance recital. The theme this year was “Live, Love, Dance.” If you ask me, that’s a great life motto! They did things a little different this year. Dress rehearsals were Sunday afternoon for the recreational classes. The first night of recitals was Sunday. They had a Competition Gala. 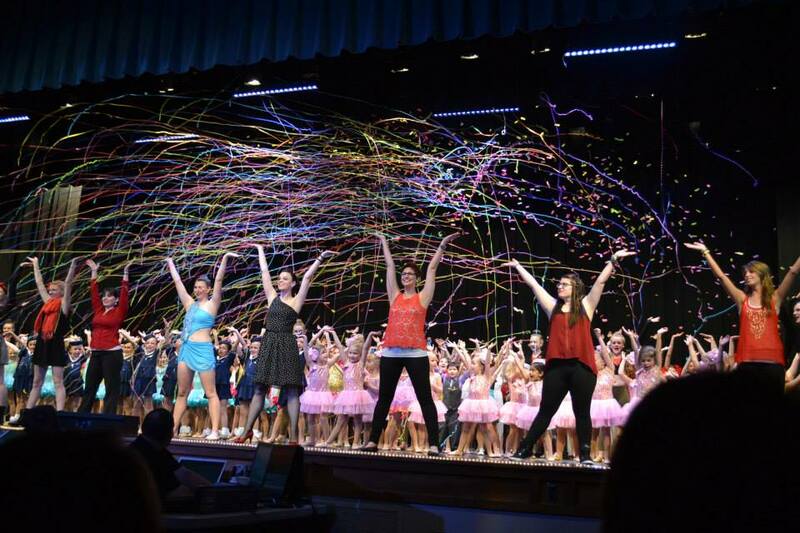 It was all the solos, duets, trios, small groups and large groups that competed showing off their awesome dances. It got a bit long, but what an amazing show! It was truly the best of the best of LADC! Monday evening was the first of the “regular” recitals. Half the recreational classes and the competitive large groups performed their dances. 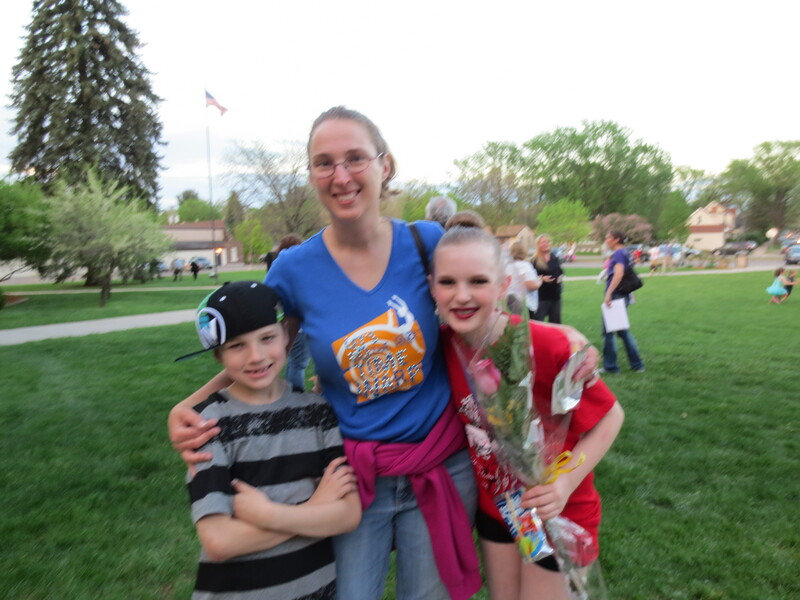 While I had seen Grace’s dances numerous times at competitions, it was the first recital for Michael, and I couldn’t wait to watch! He had spent the past 2 months convinced that he was going to have stage fright. After dress rehearsal, he was really excited for the recital. When he went on stage, he was smiling, though I could still tell he was a bit nervous. He did a great job! Instead of rushing through the moves, as I had seen him do so many times in class, he was listening to the music, and making his moves match his song. I was SO proud of him! Monday was an odd day for a recital, but the auditorium at the middle school is REALLY busy this time of year. I didn’t have to pull my kids out of school, but I did have to leave work early so that as soon as Grace got off the bus, I could get her hair and makeup done. Luckily, Michael didn’t have to be ready quite as early. Grace had to be there a half hour ahead of time to practice for the opening number. Michael used that time to change into his costume (which he couldn’t wait to wear). I was pleasantly surprised that it was over early enough, so the kids could still get home and get to bed at a decent time. I had been asked via email that day if I could help out with a preschool group so that a mom could watch her kids’ performances. She and I switched off back and forth so we could each watch our kids. Since I had already had a ticket for that night, I watched the rest of the show after her kids were done, and she said she didn’t think she needed any more help. The group she had been assigned to were preschoolers. They were so cute, and loved to sing. We sang lots of preschool songs! Tuesday was the 2nd “regular” recital. The rest of the recreational classes, both hip hop classes (who had performed the night before), and the competitive large groups performed that night. Michael was so excited, he woke up saying he couldn’t wait to go on stage again. I was helping out with another preschool group that night, so I was backstage the whole time. The kids had plenty of people in the audience watching them though, so I didn’t worry too much. Also, I will be ordering the video from that night, so I can still watch my kids’ performances. The preschoolers I was with were adorable. I had a lot of fun, despite being sick and not having much of a voice. I was thankful for my friend Linda, who stepped in to help get the group back stage, change shoes, and take girls to the bathroom. We sang songs, read books, and played Ring-Around-the Rosie about a million times. This was to be the last recital for graduating senior Madi Krueser. She is one of a small group of students who have been with the studio since Day 1. She got to do her solo in the Tuesday show, and Miss Maria (owner and teacher at LADC) had to bid her farewell. There were lots of tears shed. One of the preschoolers came off stage after the finale and said to me, “Teacher, Miss ‘Ria was cwying.” They care so much about her! With one more dance season under our belt, we are now looking ahead to Nationals this summer. 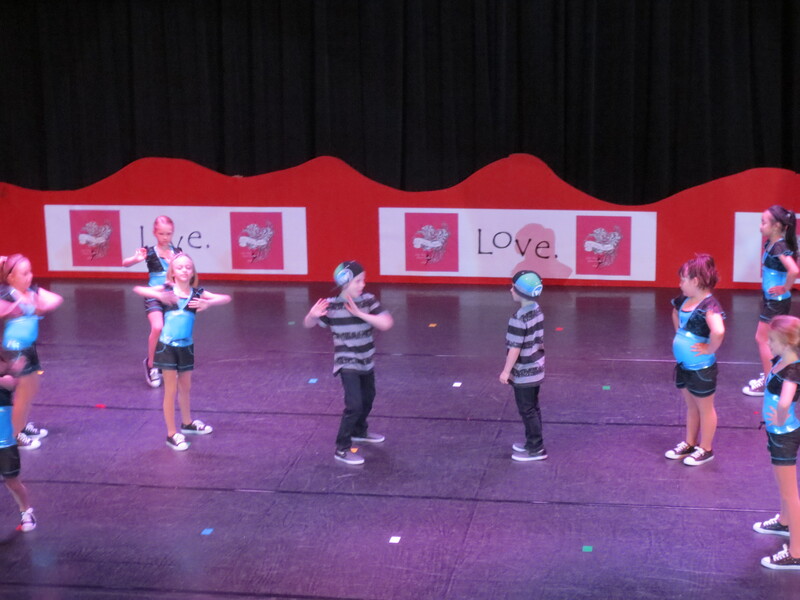 Michael is going to try a tap/jazz class this summer, and is looking forward to an all-boy hip hop group in the fall. I am hoping that next year will be the year Miss Maria puts the adults in her tap group into the recital. I don’t think she took us seriously when we all said we’d be up for it! Grace is looking forward to another year of growing as a dancer. She is hoping to be asked to join one of the small groups, or possibly taking a shot at her first solo. We shall see what the next year holds for our dance family. This we do know: it’s bound to be exciting!